B. Glee Lucas is a visual artist with a focus on painting and print-making. 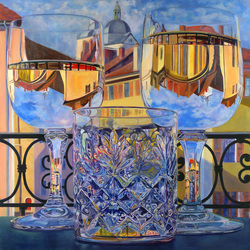 Her colorful paintings of refracted and reflected images have been selected for national and regional competitions and are held by private collectors in the United States. In 2012 she was awarded “Best in Show” in the All Cape Cod Show, Cape Cod Art Association and received a Juror’s Choice Award at the Mirrors and Windows show at the Cambridge Art Association. B. Glee studied painting at Mass Art and the museum schools at the DeCordova Muaeum and the Boston Museum of Fine Arts. 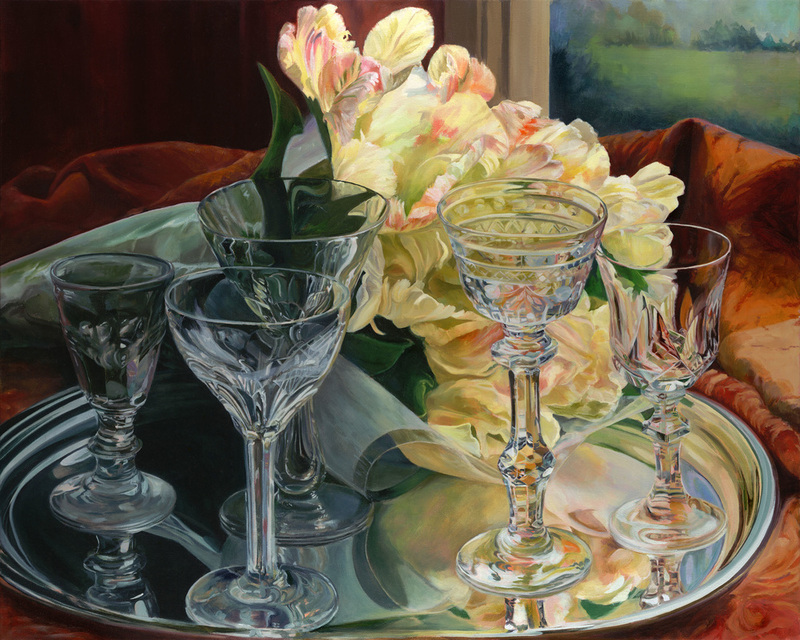 She is an artist member of several associations including among others, the Cambridge Art Association, Catherine Lorilliard Art Club (NYC), the Concord Art Association, United South End Artists, and the SoWA Artist’s Guild.. Her compositions represent a personal point of view. "I seek out, create, and capture images of color and light. The subjects of my work may be family artifacts or a transitory view from a traveler's window. Each painting is created with an intense focus on the subject matter that invites the viewer to share the richness and dimensions of a composition constructed by many small elements of light. ​To visit Barbara's web site, click here.